Right-wing radio host Alex Jones apologized and retracted false stories about yogurt company Chobani and some of its refugee workers on Wednesday. That was after the radio host had previously said some Chobani employees' children raped a 5-year-old girl in Twin Falls, Idaho. The on-air apology was part of a defamation lawsuit settlement Jones and Chobani agreed to. 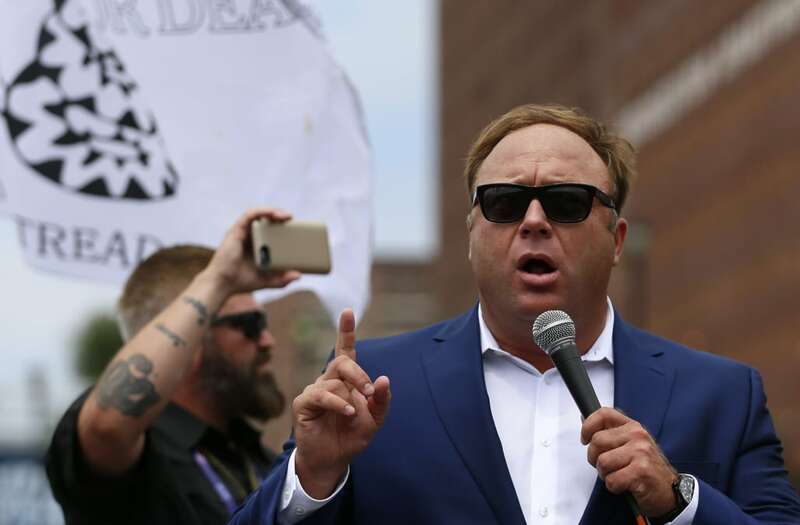 He said, "On behalf of Infowars, I regret that we mischaracterized Chobani, its employees, and the people of Twin Falls, Idaho the way we did." Twin Falls is home to a $450 million Chobani plant that employs more than 1,000 employees, including hundreds of refugees. Jones is a vocal supporter of travel bans for refugees. Chobani's founder told the Financial Times last year, "If a refugee has a job, they are no longer a refugee." Jones, whose YouTube channel has 2 million subscribers, has taken down all social media related to the story and vowed in his apology that nothing related to the story will be reposted.